It takes knowledge, tenacity and patience to make a difference in the tough world of real estate. 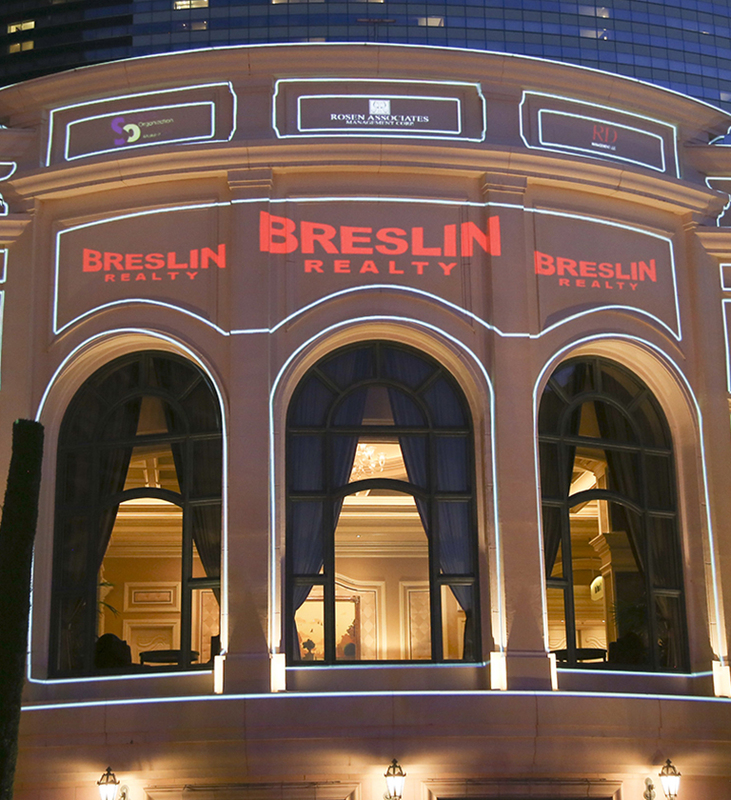 Breslin Realty has grown from a small brokerage office to a multi-faceted, experienced real estate firm. The company has developed in excess of thirty retail centers and currently manages over eight million square feet of commercial real estate in five different states. Breslin is committed to maximizing the potential profitability of any given property while generating significant capital appreciation. Paired with the company’s respected reputation among major retailers, this commitment has been the foundation of our success and the reason why Breslin is one of the premier shopping center developers in the tri-state area. Breslin Realty’s diverse experience and knowledge of all areas of real estate help turn clients’ vision into reality. Breslin Realty has widespread experience in tenant relations, negotiations, landlord representation, land planning and development, real estate appraising, property management, construction and creative financing. With extensive knowledge of the New York tri-state area and consumer purchasing habits, the company offers expert retail leasing services, providing specialist brokers for a variety of national retailers. “I was recently asked by a journalist what percentage of national retailers I had introduced to Long Island over a twenty five year period. My guess was around fifty percent. He called me back two weeks later. I was surprised to hear that the figure was actually closer to eighty percent. That’s something I’m very proud of.” Wilbur F. Breslin. A well known, highly regarded real estate developer, Wilbur F. Breslin has diversified experience in all facets of the real estate industry. He is the owner and developer of numerous commercial and residential properties in multiple states, and has expertise in construction, land planning, real estate appraising, brokerage, tenant negotiations, property management, and financing. 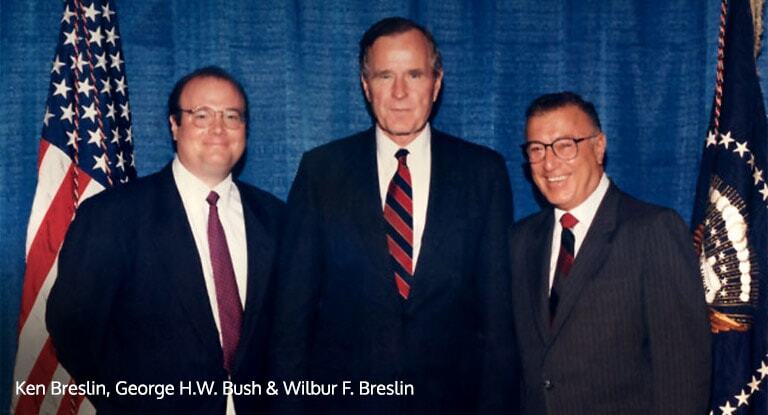 Mr. Breslin made his mark on the tri-state landscape through the development of 12 residential communities, 30 retail centers, and the management of over 10 million square feet of real estate. 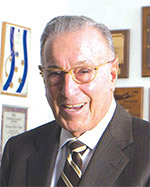 He is renowned for his creative vision in new development and redevelopment, as well as his unparalleled relationships with tenants, government officials and civic associations. Wilbur Breslin’s commitment to turning rundown properties into aesthetically pleasing, prosperous sites has become his trademark. 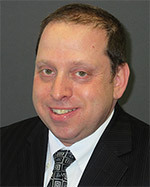 Kenneth Breslin has been President of Breslin Realty Development Corp. located in Garden City, Long Island, for over 10 years. 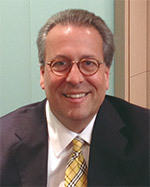 During that time the firm has focused on retail growth across the tri-state area and has represented well over 100 national and regional retail clients, including amongst others The Home Depot, Stop n Shop, Lowe’s Home Improvement, Walmart, T.J.Maxx, Trader Joe’s, Orange Theory, PM Pediatrics and Starbucks Coffee. Ken is an attorney and is admitted to the bar in the states of New York and New Jersey. Kenneth Breslin founded Breslin Realty Inc., the brokerage division for Breslin Realty Development Corp, and in 2011 launched and co-founded Sabre Real Estate Group. Mr. Breslin’s professional affiliations include serving as a Director of the Long Island Real Estate Group and the Association for a Better Long Island. 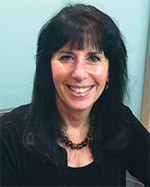 Beth Alderman has been associated with Breslin for most of her professional career. Prior to joining the firm, she was a senior real estate legal assistant at Proskauer specializing in complex commercial real estate transactions. In addition to her executive and transactional duties, Beth heads the day-to-day company operations, human resources, and the implementation, education and enforcement of corporate policies. Robert Delavale joined Breslin in 1994. He is a successful leasing professional with over 30 years experience in the commercial real estate and shopping center industry. Robert is responsible for arranging and managing the company’s entire portfolio leasing and lease renewal activity, and for negotiating all lease terms and documents as well as all subsequent tenant amendments. 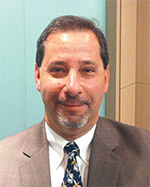 Robert is an active member of the ICSC and directs Breslin’s involvement at all annual conventions. 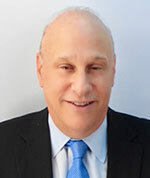 Bob Rosenberg joined Breslin in 2000 and is responsible for the oversight of the company’s real estate holdings as well as the direction of the property management team. 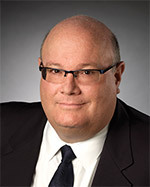 With more than 25 years’ experience in managing all real estate asset types, Bob’s diverse knowledge and experience in design, construction, acquisitions, leasing, and development has led to the successful build-out of dozens of projects and the complete renovation of shopping centers as well as new out of the ground construction projects. Bob is also a licensed Real Estate Appraiser and Salesperson and is a member of the ICSC. David Orwasher has recently re-joined Breslin in the capacity as Chief Development Officer. For the past twenty years, David has been developing properties and growing consumer facing brands for national and regional companies in a range of senior management capacities. His experience includes taking 2 companies public; Cosi & The Joint…the chiropractic place, where he served as Chief Development and Chief Operating Officer respectively. In addition, David served as V.P. of Development & Asset Management of Starbucks Coffee. While there, David helped lead the introduction of Starbucks across the Eastern U.S. and opened over 1000 stores in 17 new markets, including NYC. As noted above, earlier in his career, David spent five years as Associate Counsel, as well as Director of Leasing and Brokerage for Breslin. He is a licensed attorney admitted in the states of New York and Connecticut. William Last is responsible for the management and supervision of the company’s day-to-day financial and treasury functions. Additionally, he is responsible for all financial analysis related to prospective development, acquisitions and financings. Prior to joining Breslin Realty in 1996, William worked for Margolin Weiner & Evens LLP servicing real estate companies in New York City and on Long Island. William is a Certified Public Accountant and is a member of the American Institute of Certified Public Accountants. 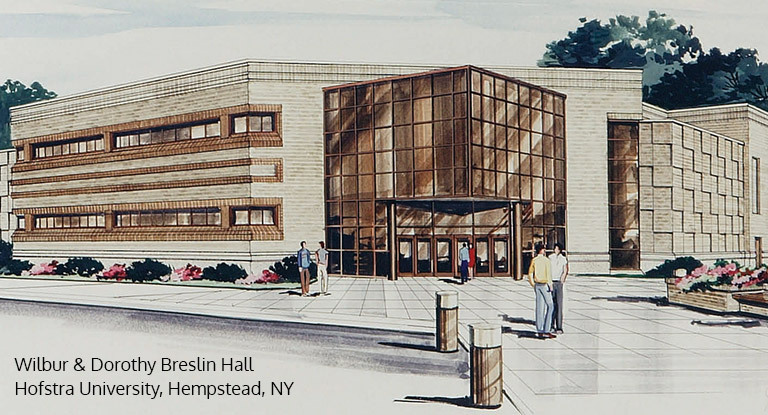 Member Of Long Island Housing Partnership Inc.
Breslin has represented a diverse mix of tenants for over 60 years. Breslin Realty Development Corp. is a proud sponsor of the NY Developers, an affiliation of fifteen of the top retail real estate development and investment firms in the New York metropolitan area. 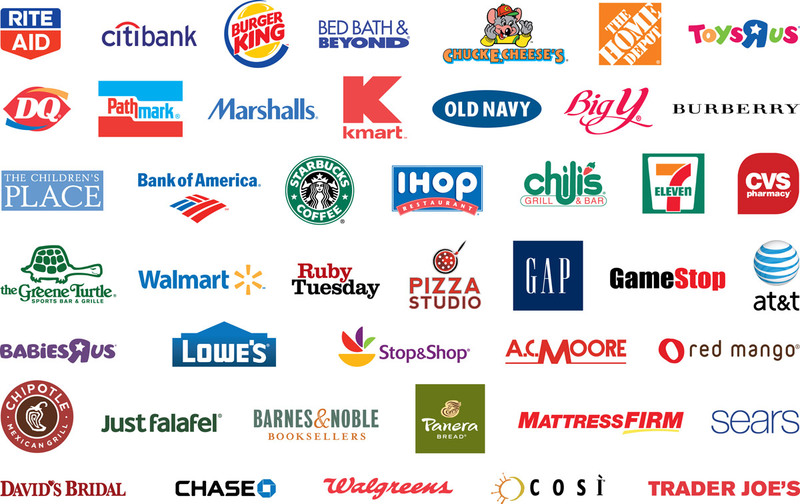 This elite group of companies owns and operates over a combined quarter billion square feet of shopping center space throughout the United States. 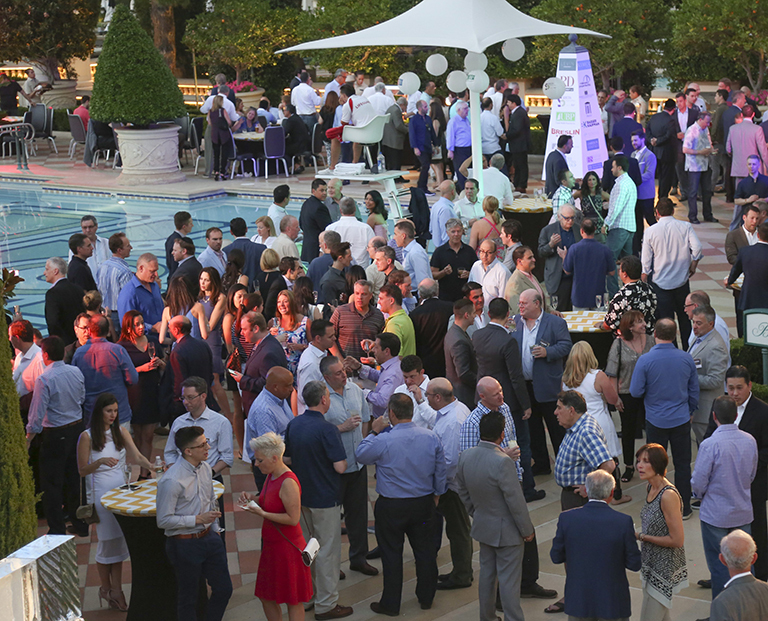 What’s more, the NY Developers has sponsored one of the most exclusive and well attended networking parties in Las Vegas during the ICSC Spring RECon show for the last 20 years.